This Tea Lover’s Hamper is designed to provide some of the goodies necessary to unwind after a busy day and to help you take a few minutes of calm to take care of yourself in this era of business! 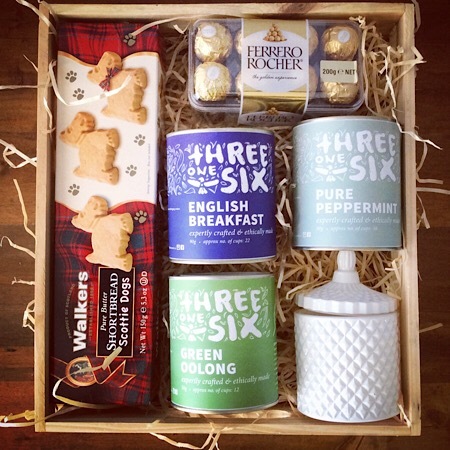 Boxed in a rustic wooden hamper it includes an assortment of Threeonesix teas, Ferrero Rocher chocolates, shortbread and a Bear and Finn candle (will vary subject to availability). Sit down, relax, take a breather and enjoy!